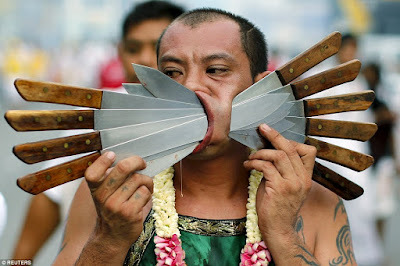 Well, the name of my blog is things out of the ordinary, so it is only right I have posts like this. 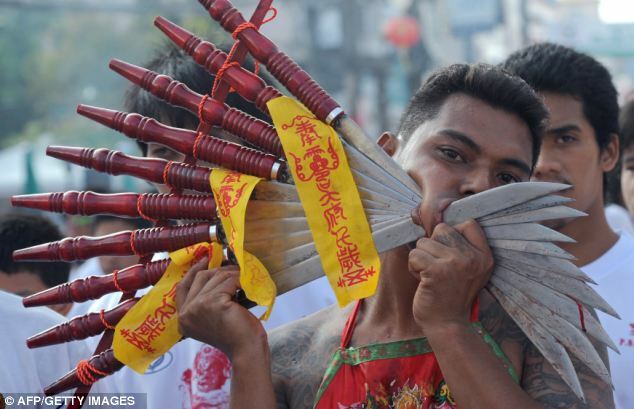 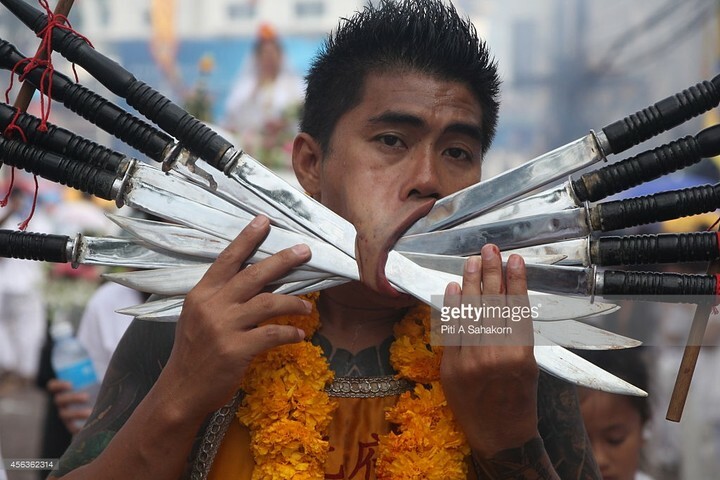 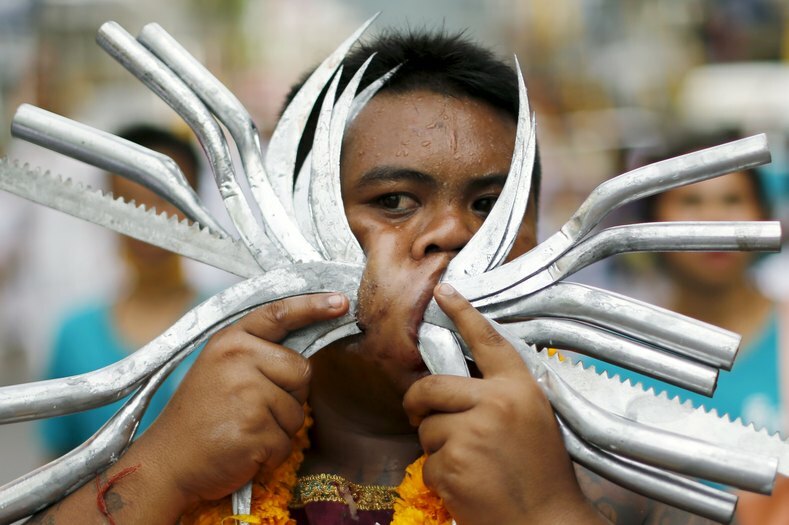 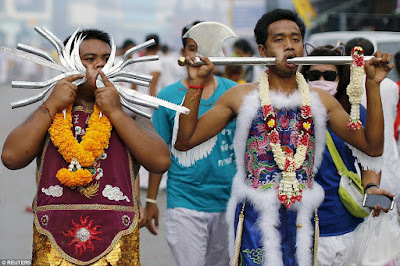 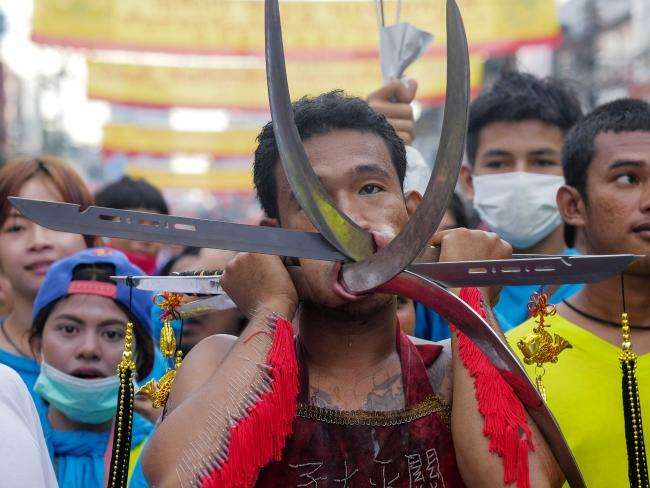 Below are pics of Asian men (mostly Thai men) during their annual vegetarian festival, where they pierce themselves with knives and other metal objects. They are vegetarians, who are members of the Chinese Samkong Shrine, and this ritual is done during a 9 day festival in Phuket (Thailand). 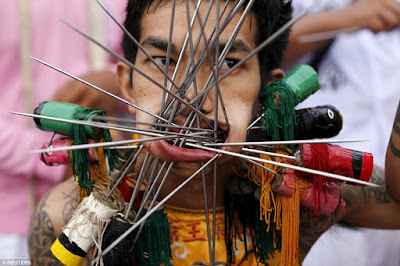 They believe this act can help them shift evil spirits and obtain peace of mind. 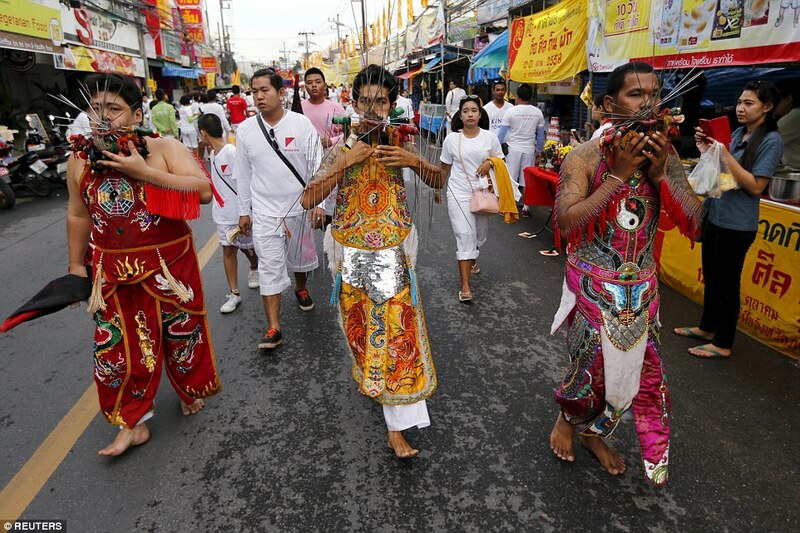 This festival is believed to have started in Thailand in the 1800s. Hmm! 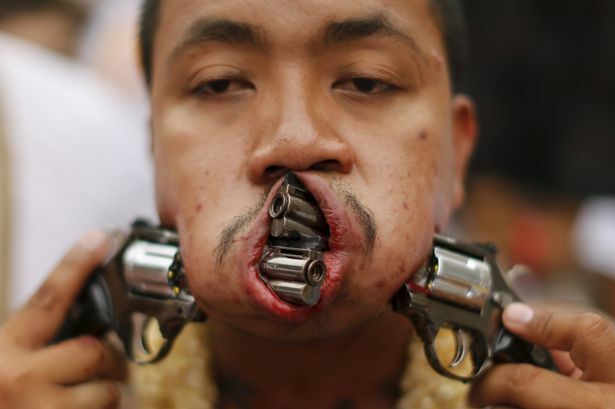 I wonder if those wound would ever properly heal.